French-inspired design doesn’t shy away from extravagance, and a bold floral pattern is a perfect way to make a statement in your home. Pair an eye-catching design with neutral-coloured walls and flooring to balance out the effect and create an air of tasteful luxury. The dramatic pattern of our Majestic teal wallpaper is reminiscent of the fleur-de-lis, with a raised design that stands out against the metallic and beige backing. For a truly Parisian feel, finish the rest of the room off with pieces that soften the effect. Pastel-coloured furniture, glass accessories, and metallic detailing can create a feminine atmosphere along with that all-important sense of grandeur. Classical styling and a timeless colour scheme are two staples of French design. 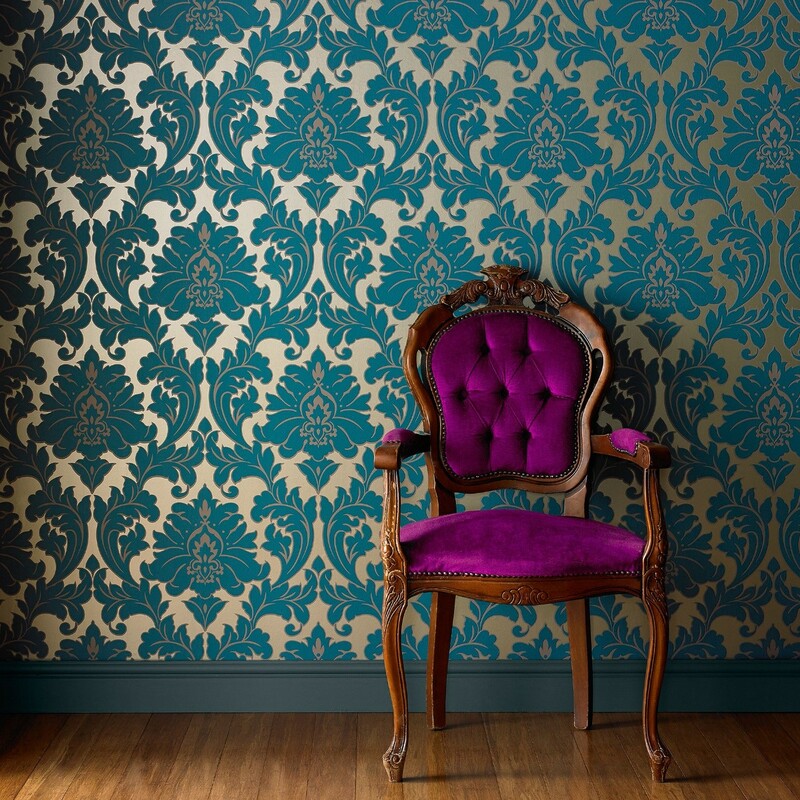 To introduce the effect into your home, consider a flamboyant yet elegant pattern displayed in a subtle manner. 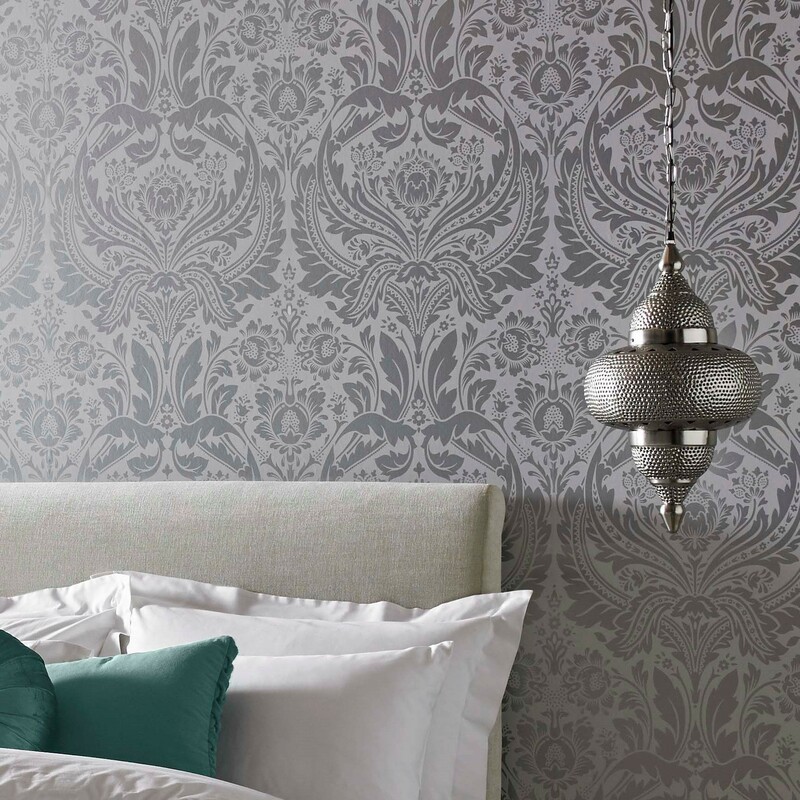 Our Desire silver wallpaper features an intricate silver floral design, softened by a matt background. The sweeping lines and pretty detailing make it a great choice for a feature wall in a relaxed, visual space like a living room or bedroom. To maintain a subtle look across the room, opt for neutral-toned paint in a pale shade of grey or off-white. Jewel-toned furniture and accessories can be used for a bold contrast, while pastel shades will create more of a boutique feel. If you’re looking to incorporate a subtler type of French style, opt for muted colours that feature a delicate pattern. The creamy pastels and vintage floral design of our Jocelyn pink wallpaper has a pretty, rustic feel, ideal for a dining room or bedroom. Pastels and neutral tones like pink, peach, and beige are feminine and understated, which means you can be bold with furniture and accessories. White, antique wooden shelves and tables can contribute to a shabby-chic effect. 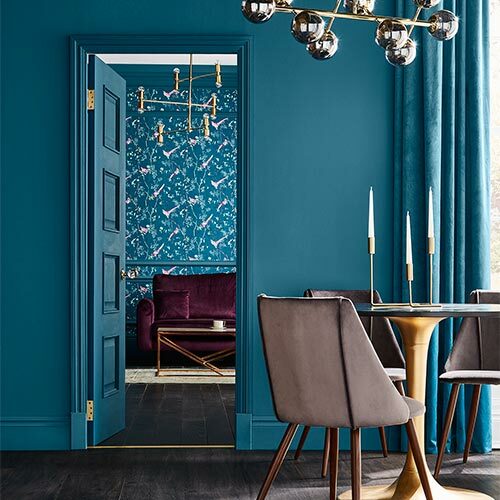 Alternatively, you can create an elegant atmosphere with dark wooden furniture, such as an oak table, and use gold accessories to finish off the room. 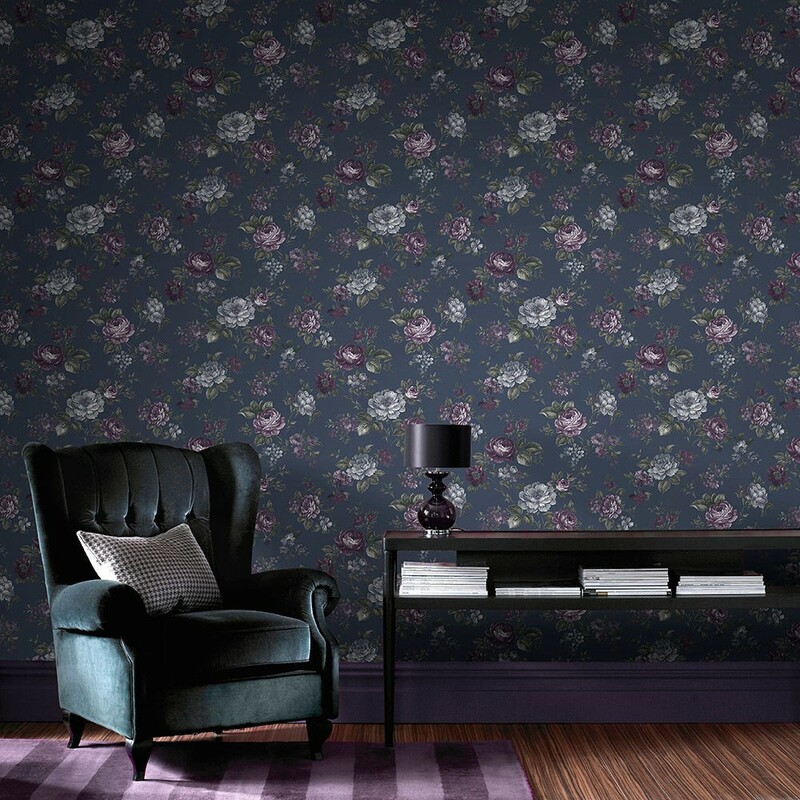 A gothic floral pattern can bring drama into your home, to create an elegant atmosphere that has a bit of an edge. Choose dark, matt colours that feature a light, feminine pattern to balance out the effect. 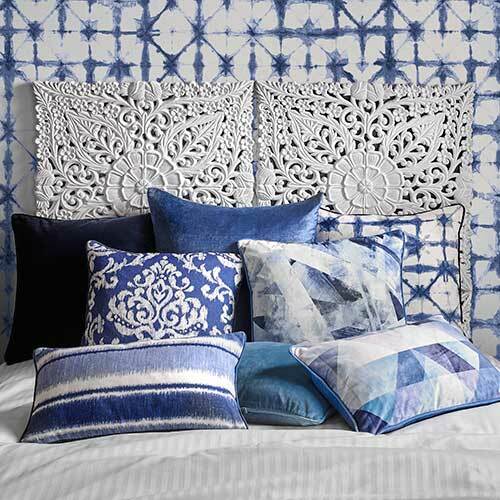 Our Muse French navy wallpaper showcases delicate flowers against a moody, blue pallet. 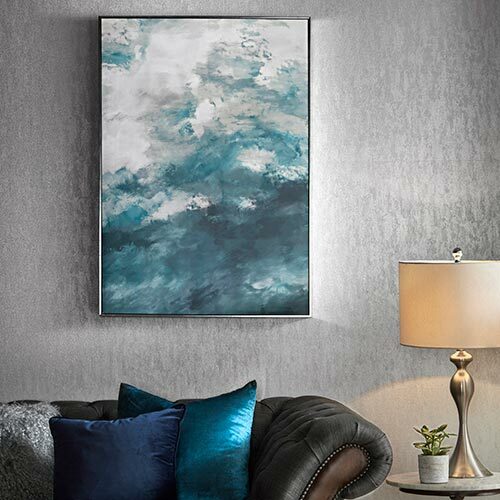 The subtle, matt finish means it’s a great choice for a feature wall, ideal for making a bold statement in a living room or bedroom without overwhelming the space. Consider pairing it with light coloured paint in a complementary shade, such as dove grey or pale pink, to balance out the dark colours. Rich textures and dark wood flooring will add to the atmosphere, and metallic lamps, frames, and mirrors can add a touch of shine. 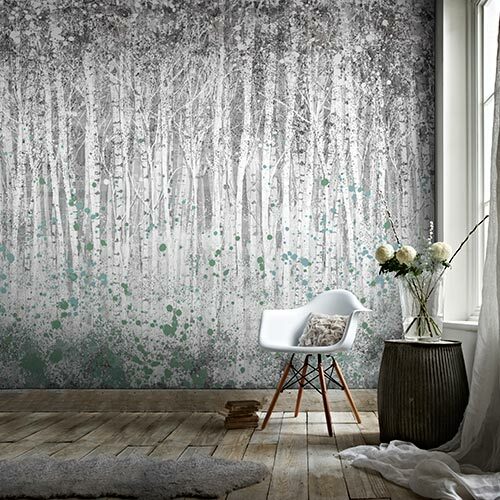 Whether you opt for a bold, elegant look or choose a delicate, boutique design, French-inspired wallpaper can bring something special to your home. 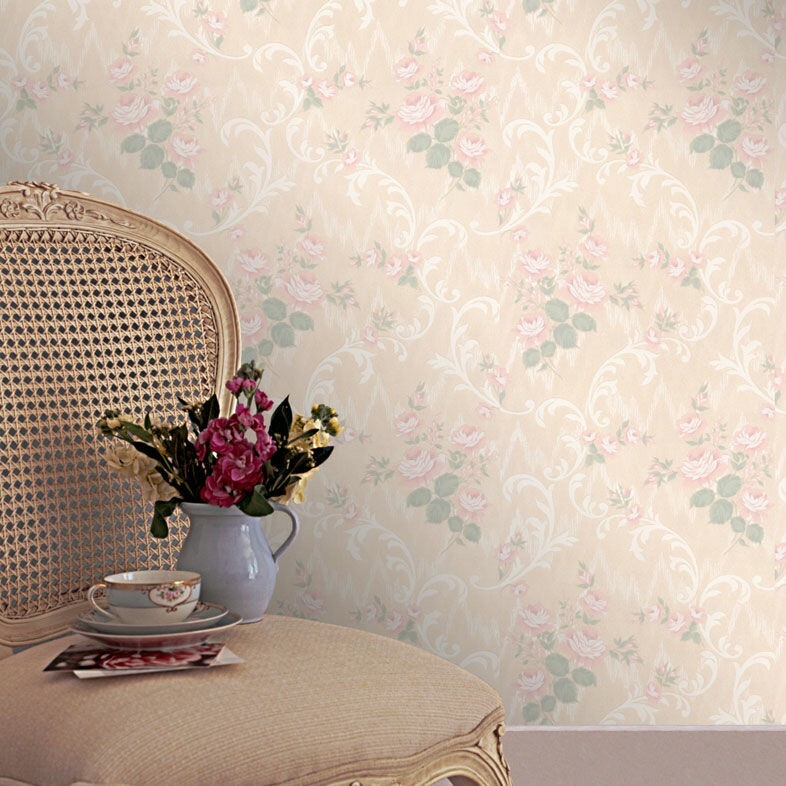 Browse our full range of vintage and floral wallpapers to find your perfect match!